I know what you’re thinking; I will always know what you’re thinking. Because, in cycling, you are constantly thinking of the same thing. You are thinking about time: how long you have to wait until your next ride, the time it will take you to get there and, later, how many hours or minutes you have left before you pedal back to normal life. Anticipating, measuring, gauging – these are the songs, time is their pulse, and not so long ago, there was a common instrument they were played out on: the heart rate monitor, a watch that was always with you. You secured it to your bike when you were riding and you strapped it to your wrist when you weren’t. You were never free of time, and you liked it that way. 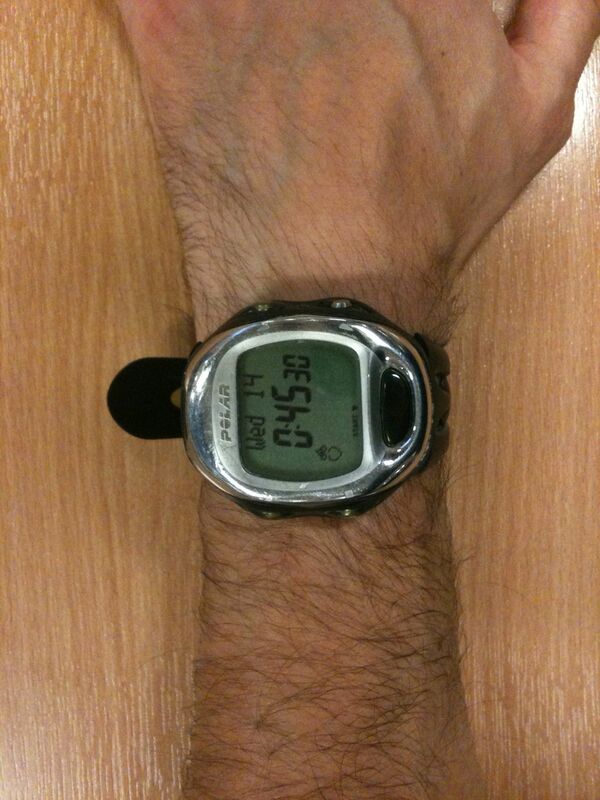 A glimpse of another fat little timepiece shackled to someone else’s wrist signaled a similar personal history. I don’t spot as many of these watches now, and they could soon be obsolete. But I’ve still got one; a button has fallen off, the display has gone blank a few times and the model I own has been discontinued, so I could end up replacing it with a small black box that isn’t a watch but also tells me where I am, even though my phone can do much the same thing. And I’d be able to show others, through the magic of uploading, where I’ve been riding and how fast or slow I’ve been. Routes drawn on a map, a username… I will have created another virtual representation of myself, another partial disguise. But I will have lost a physical symbol of my mind’s processes: the watch. This entry was posted on	December 14, 2011 at 3:14 am	and is filed under Uncategorized.